Home / Fleet Management / What are the three most perfect marriages in materials handling? Materials handling marriages; discover the best solutions! ‘Until death do us part.’ These final words are spoken by a couple just before their marriage is sealed. In real life, people seem to struggle to keep their vows. But what about materials handling marriages? Gian Schiava visits Forkliftwood and reveals the secrets of long-lasting happiness. The only thing more obvious than a great tan, palm trees or plastic surgery in Hollywood seems to be that celebrity marriages go wrong. From Brad and Jennifer, and Tom and Nicole, to Antonio and Melanie, Hollywood has an endless list of failed relationships. However, sometimes a marriage endures and the tabloids fill their pages with in-depth analyses of the secrets of these shining examples. eureka decided to research the ‘marriages’ in materials handling and find our own shining examples. We’ve come up with a top three that have stood the test of time. Thanks to their compatibility, their favourable price to performance ratio, or their ability to boost warehouse performance, these partners have spent many happy years together. Who just missed the list? Perhaps the closest runner-up, only narrowly failing to make it into the list, is that high-rise couple the pallet rack and the reach truck. 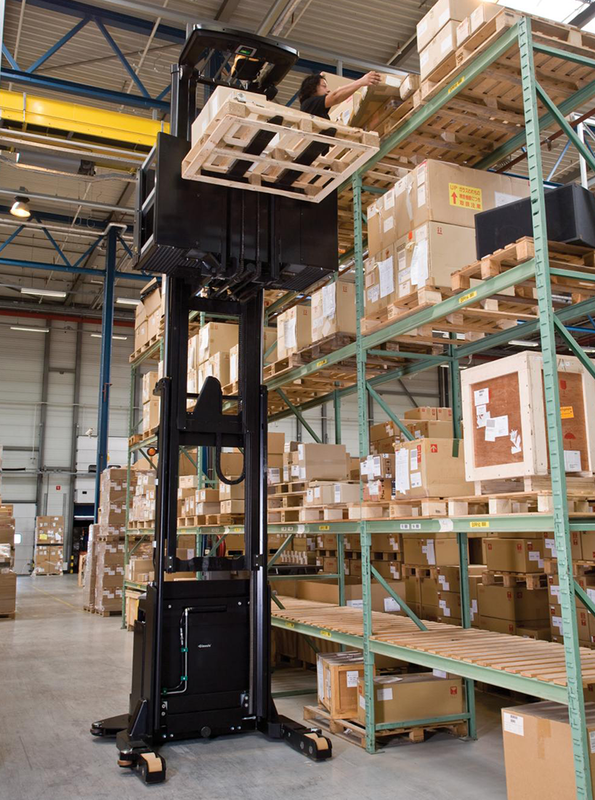 In recent years, especially, reach trucks have been equipped with masts that can go up to 13 metres, enabling the warehouse manager to achieve a high filling rate. In addition, to increase safety in handling, reach trucks can be fitted with anti-sway features. The reach truck really has everything it needs to be a good spouse, but high bay racking gave its heart to a rival. Manual unloading of lorries, hooked into a loading bay, has long been a common sight. To increase productivity the pallet jack joined the relationship, partnering with a small forklift to keep the goods moving. Two main trends then demanded a new unloading device: first, the need for ergonomics and the recognition that an injured employee adds unnecessary costs; and secondly, increased market pressure requiring higher performance. The electric power pallet truck entered the scene and it was love at first sight. 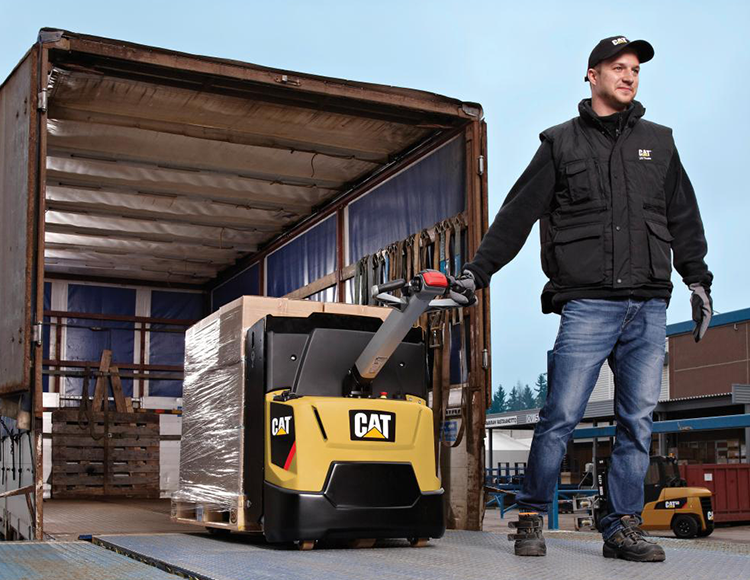 It could unload cargo in a fraction of the time taken by a pallet jack. 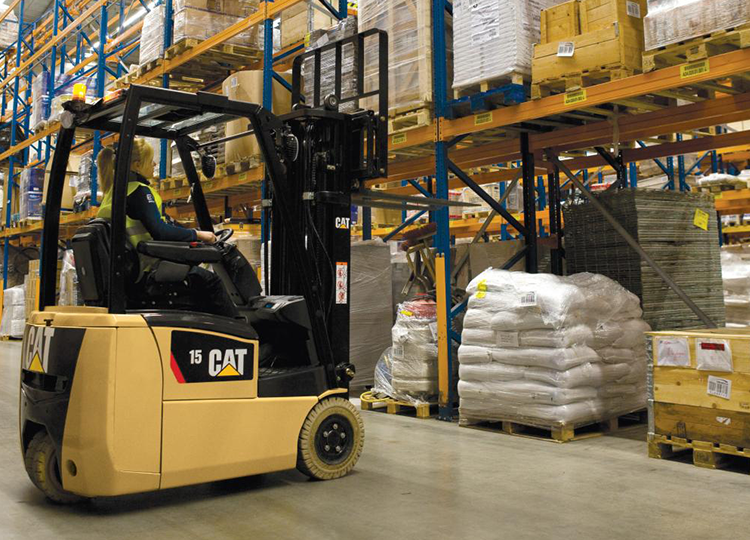 It also came with many smart handling features, like double forks (to carry two pallets), longer forks (to handle more pallets or a container) and platforms (to help operators in transporting loads over medium to long distances). The list goes on. What are the threats to this marriage? With increased pressure from extremely short cut-off times, we are currently seeing the initial development of (semi) automated unloading devices such as telescopic belt conveyors, other conveyor systems and AGVs (automated guided vehicles). Lorries prefer the power pallet truck to a forklift truck, particularly because it enters the trailer more gently and gets the job done very quickly. We should also remember that this relationship makes the truck driver very happy, as the work can be done without brutal pushing or pulling. Despite the rise of the new systems mentioned above, today this marriage is still achieving an unbeatable price to performance ratio. We can only see a real threat in warehouses where the output is immense. In probably 80 or 90% of cases we expect a lasting coalition for this team. Drive-in racking is a special breed. This pallet storage system is based on the storage by accumulation principle, which allows the highest use of available capacity in terms of space and height. We often find it in cold store applications or in the food industry. Products stored need to be homogeneous, as the pallets are less accessible. For FIFO (first in first out) applications, the racking can be configured as a drive-through system. Its main advantage is at the same time its weak spot. Aisles are so tight that you can enter them only with a small device. But then along comes the three wheel electric lift truck, which seems to be purpose-made to serve the drive-in system. Compact dimensions and low overhead clearances, combined with powerful performance, fully satisfy this racking and its picky nature. Yes. With so little direct competition, it seems that the three wheel electric truck and drive-in racking will continue to enjoy wedded bliss for many more years to come. When it comes to the maximum utilisation of cubic and floor space for storing palletised goods, there is nothing more productive than high rise or high bay racking. Stacking heights can go up to 30 metres and in those cases we see automated or semi-automated stacker cranes that require floor and top guidance. These cranes may be fixed-path or free-ranging in operation. When the warehouse serves as a high-output order picking application, we normally see heights of around 10 metres with products being picked by high level order pickers. These machines were specifically designed for this job, so in this marriage we can literally say that the partners were made for each other. Order pickers have greater flexibility than cranes or shuttle systems and the latest models allow the driver to work ergonomically with minimal need to bend or lift. This combination brings great individual accessibility to the pallets. Although the partnership offers maximum flexibility, there is always the threat of cranes, shuttles or other (semi) automated systems. The marriage may come under some pressure, especially when output needs to be maximised and volumes are very large. After all, high bay pallet racking will always be an attractive catch. eureka went out and discovered three great couples, but we would be happy to hear about other combinations from you. Do contact us at the address below with your happy marriage suggestions.